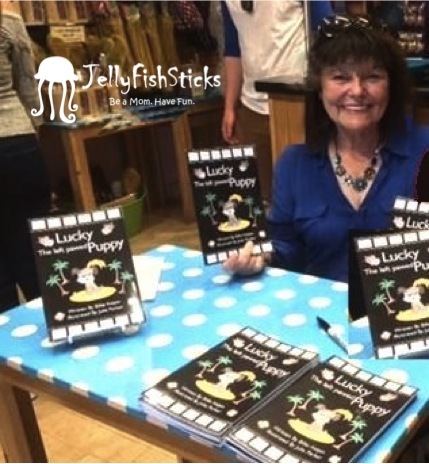 Featured Author: Billie Kelpin and "Lucky the Left Pawed Puppy"
JellyFishSticks is pleased to feature author Billie Kelpin this month, as she shares her journey in creating "Lucky, the Left Pawed Puppy". 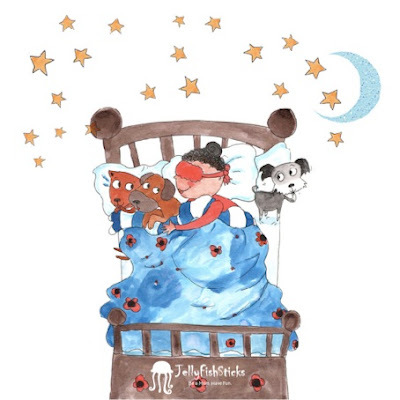 It’s exciting to be writing a guest post on such an informative and lovely blog as JellyFishSticks, and I appreciate the opportunity! 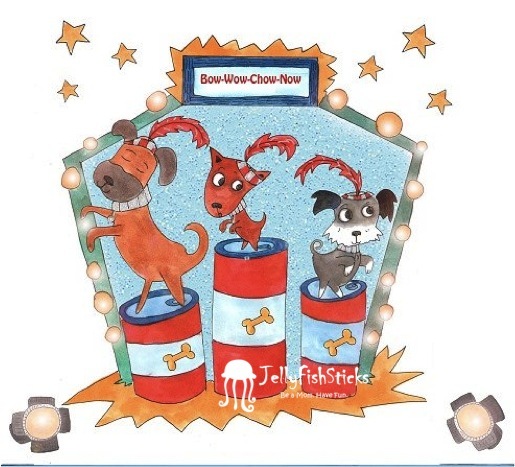 While my children’s book, “Lucky, the Left Pawed Puppy” has been written for children 5-8 years old, the message is one for parents of very young children as well. That message is that often our children’s differences can become their greatest strengths. Since being left-handed seems to be a part of my personality, it was natural that Lucky’s story just “came to me” one day on a walk with my little dog Scooter. 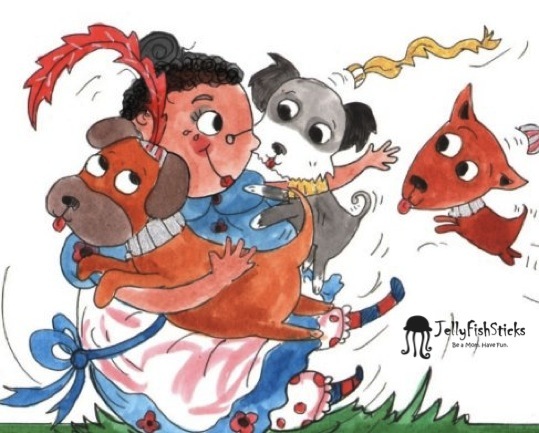 The journey from there, including how I found the amazing children’s illustrator, Julie Parker, from the UK is described in an article I wrote on “How to Write a Children’s Ebook”. From Ms. Parker’s illustrations, I fell even more in love with my own characters, Lucky, Shortstuff, and Rags. From actor Brian Julian’s and my daughter, Bethany Therese’s voices in the narrated version of “Lucky” on youtube, I found humor in their interpretations of Hector the Hollywood Director, and the Lovely Leslie, famous Hollywood animal trainer. From the responses from various children who have read “Lucky”, I’ve found great satisfaction. I wrote “Lucky, the Left Pawed Puppy” not to make being left-handed into something bigger than it is. I wrote it, instead, in the hope that parents would be encouraged to embrace their child’s dominant side and in a broader sense, their child’s strength. I often wonder, for example, how much better a tennis player I would have been if someone had reminded me to put the racket in my left-hand; how less awkward I would have appeared in the kitchen had I realized that potato peelers and the cutting edges of knives are often right-handed; and how much more confident I would have been if I had realized sooner that I was adapting quite well to a world that is backwards to me. But the far more important reason I wrote "Lucky", was as a metaphor for life. Often it is when we think outside of the box, when our views are different than others, that we find a solution to problems. I wanted to help make the child who feels ‘left out’ (and aren’t we all children who sometimes feel that way?) take that difference and make it into a strength and become a hero. Billie Kelpin is a former teacher of the deaf and sign language interpreter. She graduated from the University of Wisconsin-Milwaukee in Deaf Education and has done graduate work in Teaching English as a Second Language. Billie and her husband, Mike Olmon, have developed free online learning games for students of all ages and abilities on their website, www.LanguageRocks.com. Originally from the Midwest, many of Kelpin’s short stories and essays reflect her Midwest background and often touch upon her amusing adventures of living as a left-handed person in a right-handed world. Billie now lives in California with her husband their little dog, Scooter, where she writes from their RV in Newport Beach, close to their adult children. 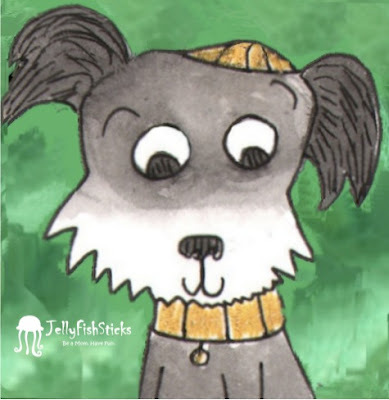 Billie Kelpin is offering JellyFishSticks readers a special guest blogger price for the paperback until 5/5/15. Visit www.leftpawedpuppy.com to order your copy! Also, be sure to visit Lucky's youtube page to watch the narrated version of "Lucky, the Left Pawed Puppy". The youtube channel includes a second version of the story that allows children to participate with the narrator.